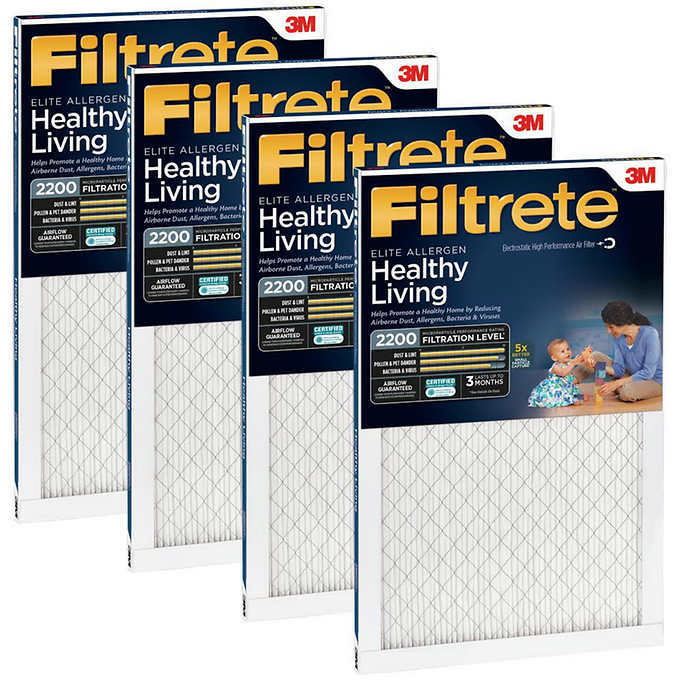 Costco.com has 4-Pack of 3M Filtrete 2200 MPR Filters (1″ Thickness) for $45.99 w/ Free Shipping. $14 manufacturer’s savings** is valid 1/11/19 through 2/10/19. While supplies last. Keeping your home clean and healthy is your mission and Filtrete Healthy Living filters can be your perfect partner. Featuring high performing electrostatic technology, Filtrete filters proactively capture dust, bacteria, germs, viruses and allergens in your air. For optimum performance, change your filter every 90 days or sooner. The Filtrete™ Elite Allergen Reduction filter outperforms all 1″ filters. It attracts and captures microscopic particles like bacteria and particles that can carry viruses and large particles like mold spores and pollen.